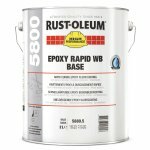 Fast curing two pack water based epoxy floor paint overcoatable after 3 hrs (at 20 degrees) Matt finish. A rapid curing two pack epoxy floor paint for inside use ideal for garages, warehouses, showrooms, corridors, indoor car parks, workshops etc. 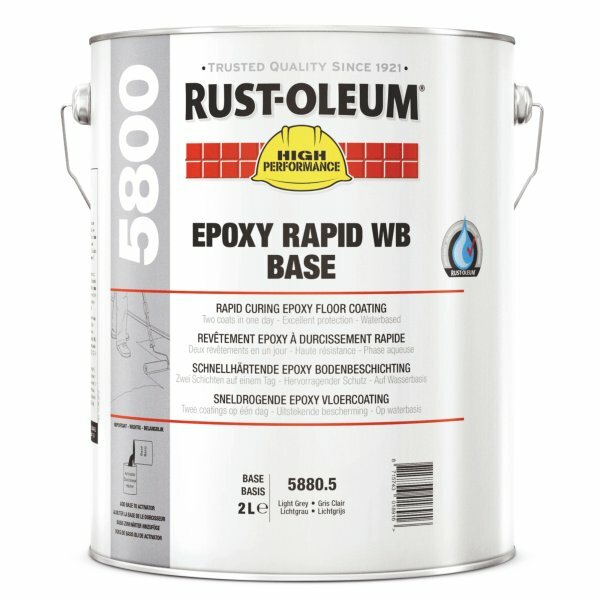 Rust-Oleum Epoxy Rapid WB 5800 can be applied on cleaned, sound mineral substrates, sound and well prepared previous coatings and suitable Rust-Oleum primers. 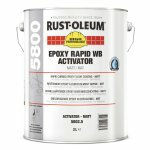 At 20 degrees 5800 is overcoatable after 3 hours making it possible to apply two coats in one day. Choice of two activators for either a gloss or matt finish, water based formulation for less odour.